At Delta Rigging and Tools, we are pleased to offer J.D. Neuhaus, Chester, Harrington, and Tuffy Hoists. Made for lifting, lowering, and most importantly, transporting loads of all sizes, hoists are the top choice when it comes to safely elevating any object. Depending on the model, hoists can be powered manually, electronically, or by air and use either wire rope or chain to lift the needed item. 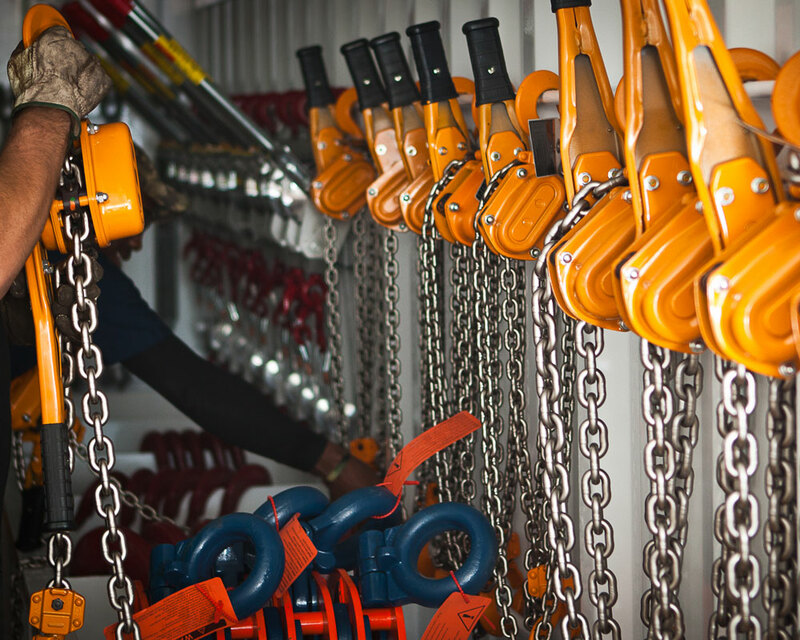 Delta Rigging and Tools prides itself in carrying products from industry leaders who manufacture premium quality hoists designed for jobs of all sizes. To determine what type and size hoist is best for the job, please contact our sales team at for a quick quote.